Being a new member in Pony Club can be really confusing, what with the onslaught of new information and ways of doing things around your horses and ponies. When you add all the new terms and acronyms on top, it can be a bit overwhelming. But have no fear, we’ve come up with this handy guide to help you demystify all that lingo! An ACA aids the CA in the management of the Center. Your Center can have more than one ACA. These people assist the CHMJ in judging at rallies. Your CA is the leader of your Riding Center. They are responsible for all the management aspects of the Center and its members. Typically a training/lesson barn, that has entered a contract with USPC to offer the Pony Club program through the administration of that facility. 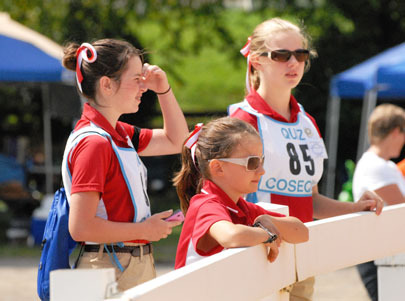 Members begin their Pony Club career with the basic equine knowledge and riding skills at the D-1 level. Members progress at their own pace through the Standards of Proficiency at each level until achieving the A Certification which is a highly accomplished equestrian, capable of caring for and overseeing the training of a variety of horses. Your Certification tells instructors what level of riding ability you are and what you need to work on to achieve the next level. This also tells your HMJ what equine skills and knowledge you know so they may judge you accurately at rallies. Certifications may also be referred to as a “test” or “testing” when discussing an actual test scenario used to move up the levels. This person is the head Horse Management Judge at rallies. A Club’s sponsors are individuals who have paid the Club-determined, nominal Sponsor’s Fee and aid in the decision making process of the Club by attending annual Sponsor’s Meetings. Sponsors vote on any issues brought forth, elect the Club officers, and nominate individuals for DC and/or Jt. DC positions. Your DC is the leader of your Club. He or she is the one responsible for all the management aspects of the Club. An Everything but the Horse rally is exactly what it sounds like, members participate in a true rally atmosphere without having the stress of caring for their mounts. Members focus on horse management and all other aspects of a rally while not having to ride. This is a great rally for new members to attend as an introduction to rallies. This is where you keep all of your mounts health records. It can be the paper version sold at Shop Pony Club or can be a product of your own design. You should keep track of all farrier and veterinary visits, along with the weekly activities and lessons you do with your mount. Upper Level members are required to keep a log of their mount’s training program to present at their Certifications. You can track expenses like board and feed here as well. If you don’t own the mount you use for Pony Club, ask the owner if they can help you fill out a record book to present at your Certifications. You only run into HMJs at rallies, whether they are local, regional, or national. HMJs are responsible for the safety of both you and your mount at rallies. They judge all of your Horse Management skills against your current Certification. Your Region’s HMO is responsible for gathering the Horse Management staff for all of your Region’s rallies and appoints CHMJs and AHMJs at the rallies as well. HMOs also help Club and Center leaders plan their unmounted instructional programs. This is a biggie. Horse Management encompasses all things horse care. You are judged on this at rallies and are tested on different sections of it during your Certifications. Horse Management is what sets Pony Club apart from other equine clubs as our members are consistently taught to care for their mounts with respect due a partner. An impartial observer attends national level certification to help ensure fairness during the test. A Joint DC aids the DC in managing some Clubs. There can be one or several Joint DCs in a Club if your Club has one at all. These are examiners who have been approved by the USPC National Office to administer national level certifications (H-B and up). A PIP is the National Examiner at a national level certification with overall responsibility for the conduct of the test and for the paperwork. Pony Club currently has three manuals currently, one for the D Levels, one for the C-1 & C-2 Levels, and a third for the Upper Levels. Members are encouraged to purchase a copy of the manuals to aid them in their Certifications. The manuals explain everything from the basics of horse care, to riding expectations for each Certification. In Pony Club, our competitions are called Rallies. Every discipline usually, but not always, has a Rally in most Regions. Rallies are comprised of a ridden competition specific to the discipline and a Horse Management competition. Members typically compete on teams of three or four riders and a stable manager. Rallies are held at both the Regional and National level. Your RS is the leader of your Region. 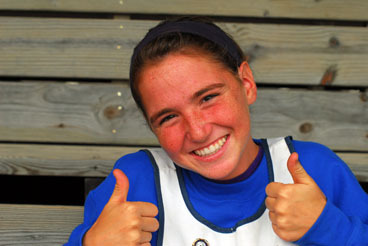 Pony Club is divided into 42 different Regions across the United States. 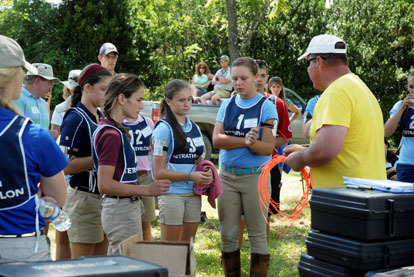 The Standards of Proficiency are what Pony Club uses to determine a member’s riding and horse management skills. They are a progressive scale that start with the basics and continue up through more advanced knowledge and skills. When members attend Certifications, they are judged against the Standard they are attempting to achieve, not the other members that may be testing with them. Members can progress as quickly as they would like, with no predetermined time-frame on achieving their next Certification. The Stable Manager is the non-riding member of a rally team. They are responsible for aiding their teammates in preparation for their rides and other daily barn tasks while competing in a rally. A Stable Manager is required for all teams competing in a dressage, eventing, show jumping, or polocrosse rally. They are there to help their teammates get ready to compete and to assist in the care of their team’s mounts. The leading member of the team. This person is the one who is responsible for speaking for teammates in all capacities at Rallies and Championships. A Vice RS aids the RS in managing the Region. Regions can have one or several Vice RSs depending on their size, membership numbers, and management needs.